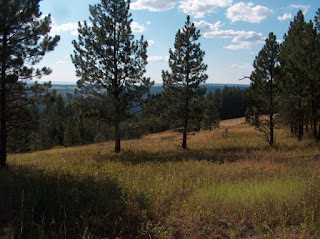 High, remote timbered property on divide between the Salmon River and Snake River drainages. 23.8 acres, good access right off the Doumecq Road, with power nearby. This property had a spring trough on it where cattle came to drink. Located approximately 11 miles west of Whitebird, Idaho across the river. Great home site location or perfect getaway cabin/retreat. Contact All Around Realty for more information at (208) 983-7878. Owner financing O.A.C. Priced at $ 59,900.